Not sure what we're on about? Well, enter your custom vehicle at one of the 17 venues around the US over the next few weeks and, if you win, your car will become an official Hot Wheels toy. 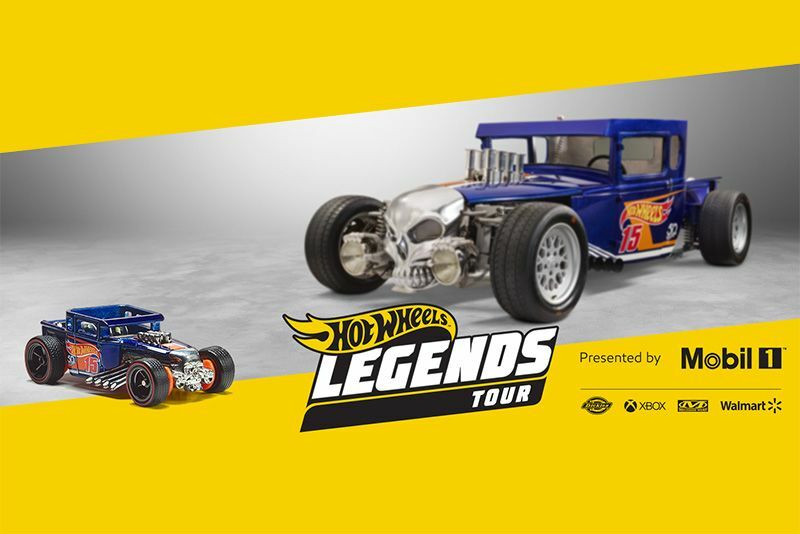 In Miami, Florida, this past weekend, Hot Wheels kicked off their 2019 Legends Tour where fans from around the US can enter their custom cars in the hopes of becoming the company's next die-cast toy sold around the world. The tour will travel to 17 venues around the country over the next few weeks, culminating in a competition between winners from each city at the SEMA Show in Las Vegas. According to the toy company, the entrants will be assessed on three criteria and judged by "Hot Wheels designers, automotive experts, and influencers," including celebrity guest judge, Richard Rawlings, from Discovery's Fast 'N Loud. The criteria the custom cars will be judged on are "authenticity, which considers whether a car looks like a true Hot Wheels; creativity, which looks for unique cars that stand out from the rest; and garage spirit, which examines the craftsmanship behind the car". Walmart stores will be hosting the functions, which will include activities such as racing simulations, pit stop challenges, photo opportunities, and a Hot Wheels Kid Zone. At last year's events, more than 3,600 cars entered while over 65,000 people attended. A pretty darn good turnout for the first competition – in celebration of Hot Wheels' 50th anniversary. Eventually, a dude named Luis Rodriguez won with his custom car, dubbed the 2JetZ, which you can see in the gallery above. Visit the Hot Wheels website for the full list of cities included in the tour this year. Cartoon Style Custom Cars? It's Amazing! Introducing The Mercedes Amg G65 Brabus 900! Video: The Skyway Bmw R80 Is A Dream Come True For The Bike-junkies! Video: It Used To Be A Sleeper Once, Now Everybody In The World Knows It ' The Grand Tour Porsche 918 Killer Revealed. A 1,900hp Nissan Patrol! Video: The Grand Tour Announces They Are Two Weeks Out From Their Release Date With This Video Filled With Some Interesting Stats! Video: One Sick Rat-rod Mothertrucker Packing 400hp! Video: Sema 2015 Highlights And More!